Levon Mosgofian Frisco’s Psychedelic Printer. When the phrase “San Francisco rock posters” is uttered in certain circles, most people picture bold blocks of psychedelicized Art Nouveau lettering, a skeleton crowned by a garland of roses, shimmering collisions of equiluminant colors, and a flying eyeball peering through a burning ring of fire. That describes the most iconic work of the so-called Big Five poster artists—Wes Wilson, Alton Kelley, Stanley Mouse, Victor Moscoso, and Rick Griffin. But as good as those artists were (in the case of the late Griffin and Kelley) and are (in the case of the rest), it took more than just five artists to create all the posters and handbills required to publicize all the concerts produced during these years. In addition, if it weren’t for the career pressmen at companies such as Bindweed Press, Cal Litho, West Coast Litho, and Tea Lautrec Litho, the drug-fueled dreams of some of these artists might never have seen the light of day. Recently, I was invited to curate an exhibition of San Francisco Bay Area rock posters at the San Francisco International Airport, whose SFO Museum produces more than 50 shows a year across 25 exhibition spaces for the 44 million travelers who pass through the airport annually. My qualifications for this incredible honor are essentially a love of rock posters since I was a kid, membership on the board of The Rock Poster Society as an adult, and a collection of maybe 400 pieces, which is paltry compared to the holdings of most of the collectors who supplied posters to the show. Thanks to their generosity, I was able to organize “When Art Rocked: San Francisco Music Posters, 1966-1971,” which features about 160 posters, along with another 100 or so postcards, handbills, tickets, and other scraps of ephemera from the era. A smaller companion exhibit of 1960s fashion and design, curated by SFO’s Nicole Mullen, is located conveniently nearby. 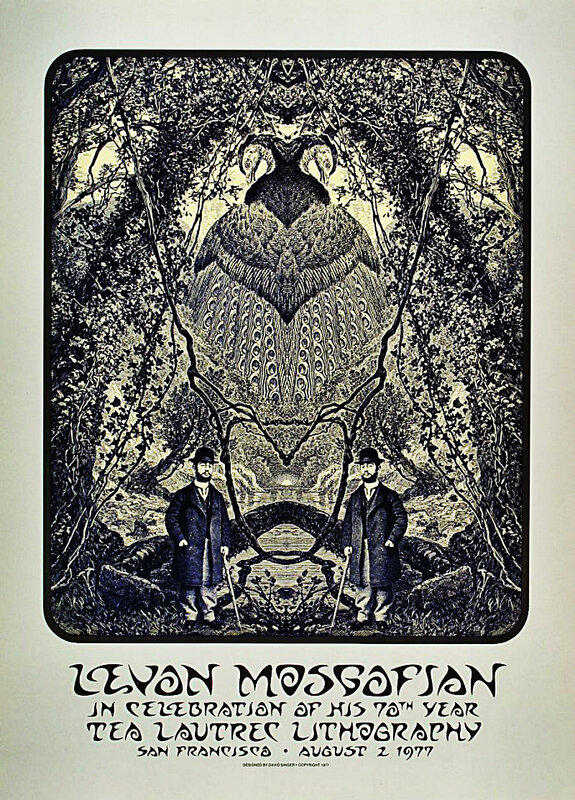 via Was Levon Mosgofian of Tea Lautrec Litho the Most Psychedelic Printer in Rock? 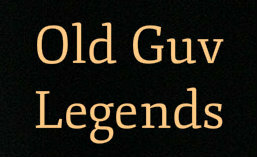 | Collectors Weekly. This entry was posted in PRINT, WORDS & BOOKS and tagged ephemera, North America. Bookmark the permalink. ← Poster Art Rocked Frisco in the 1960s.